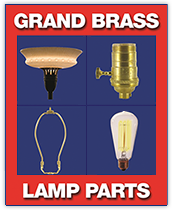 Common Measurement Conversions – Grand Brass Lamp Parts, LLC. How Do I Measure Lamp Thread? What is IPS and Why Do We Use These Size Threads for Lighting Parts? Which Type of Wire Should I use ?